High-tech protection for your home and everything inside it when you have any of these smart locks in your smart home. Protecting your home has never been more high-tech. Gone are the days of leaving the front door unlocked, no matter what sort of community you live in. And the standard key isn't even enough security for some people, particularly those with a house full of valuables or a large living space to secure. Even apartment dwellers are doing the smart lock thing, turning to today's most modern gadgets to ward off invasions, make life simpler, or just because they love all that's new and noteworthy. No matter the reason, peace of mind is always a good thing, and using a smart lock is another step in keeping our loved ones and the things we love locked up tight, day and night. In 2016, GearBrain rounded up our "best of" smart home locks. 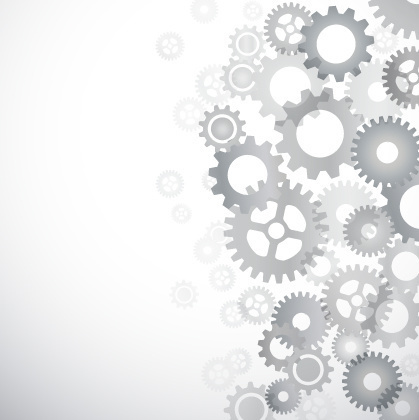 While we still stand by these options, like just about everything else in the world, innovation moves us forward and better products are born. This updated list brings more to modern protection, securing homes even stronger. When you want to have full control of your front door no matter where you are, the $279 August Smart Lock Pro + Connect is trackable, sharable, and super secure. Paired with their smartphone app as well as the ability to connect with all three major voice assistant devices, this smart lock, which GearBrain reviewed, is easy to use and exceptional in its security. It'll lock after you leave and let you in upon return. Works with your single-cylinder deadbolt and installs in an instant. This smart lock from Danalock can be programmed to lock the door behind you. With access from afar, auto-unlock, and monitoring via app, Danalock V3 Smart Lock is a wireless smart lock, one GearBrain reviewed, priced about $230, which you can program from your smartphone and grant access to others you trust. When you step inside your home, program Danalock to lock the door behind you, so you never forget to protect your home and everything in it. A sleek design and smart functionality makes Danalock adaptable and elegant. A smart deadbolt means your home's security is in your control. Schlage Sense Smart Deadbolt works with an app or with the sensible touchscreen to offer more protection than a basic deadbolt could ever provide. Manage settings, access, and more as you monitor your doorway from your smartphone with this smart lock, which GearBrain reviewed. Add the Schlage Sense Wi-Fi Adapter and connect to your home network in no time. No keys, no problem with this smart lock, which you can pick up for about $166 from retailers. 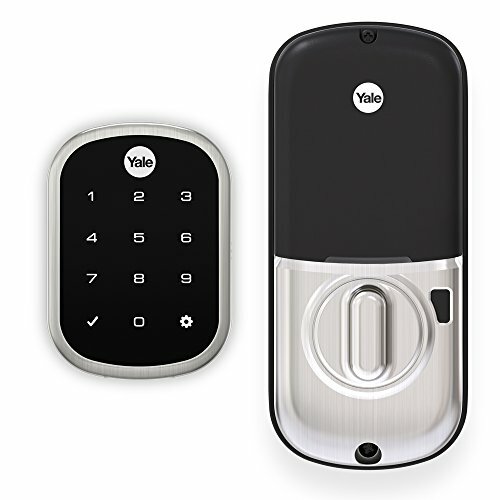 A touchscreen keypad and smart home compatibility make Yale Real Living Assure Lock a breeze, free of keys and full of peace of mind. 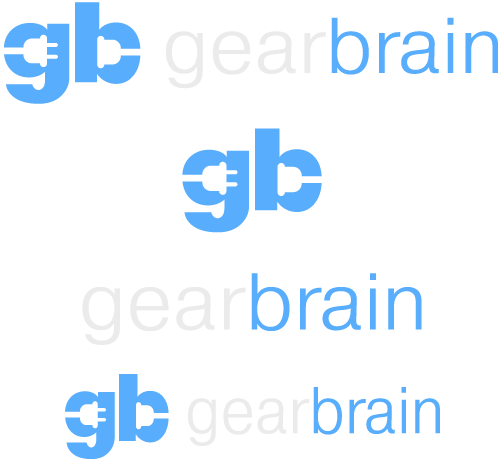 The lock, which GearBrain reviewed, runs about $220, and is ideal for families as you can share access with a big family and even friends, creating private pin codes for entry when you're not around. Upgrade with a Yale Network Module and connect with your home alarm system for a second layer of security. Control your lock from anywhere and know your home is in good hands. Lock your home with the strength of a deadbolt paired with modern technology accessible from your smartphone. The Schlage Encode Smart Wi-Fi Deadbolt, priced at many retailers at $250, is convenient with one-touch locking, shared access if desired, and built-in Wi-Fi for superior security and a constant connection. The lock works with the newly updated Schlage Home app — which lets you pair the device to Google Assistant devices — and snaps into your door in seconds. Pair with Key by Amazon and Alexa and use voice control to unlock or lock from anywhere, plus there are four different styles to work with your home's design. 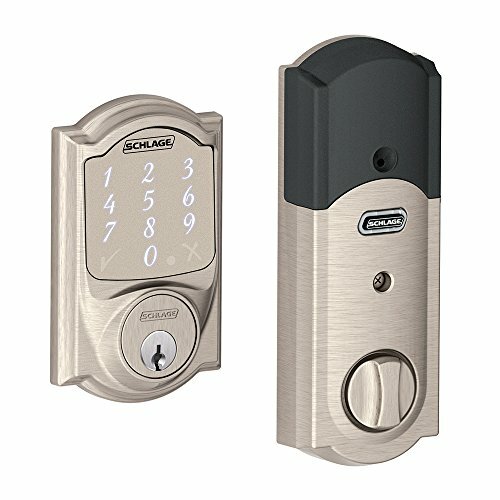 Now available via pre-order, the $330 Lockly Secure Pro is designed for a deadbolt or latch and claims to provide the "highest level of security available on the market today," the company states. Control with your smartphone and access from anywhere with its PIN Genie Technology. Wireless door sensors also know when your door is left ajar, sending you the status, to keep you safer. Pair with Alexa for voice control capabilities you can count on when you need it. See our full review by visiting our Review: Lockly Secure Plus Deadbolt smart lock. Coming soon, the Kwikset Halo Wi-Fi enabled smart lock is advanced and easy to use — no smart home hub is required, only a Wi-Fi router and smartphone. Monitor from anywhere and get alerts whenever your door is opened without your knowledge. Using either the touchscreen or keypad, you can enter up to 250 user codes and a master code to override them all for the utmost protection. Six finishes allow for style paired with safety. With Bluetooth connectivity and smartphone simplicity, the $229 Kevo Touch-to-Open Bluetooth Smart Lock is an easy way to eliminate worry about your home's protection. One touch is all it takes to get in and out, so no more clunky keys, only ease. The app will alert you about activity, keep tabs on others' access, and auto-lock so you'll never second guess your safety. Nest and Yale have combined their strengths to create a deadbolt key-free smart lock that makes sense. Connect to the Nest app and use the power of voice control with Google Assistant, and the Nest x Yale will be your home's safety measure made modern. Use your app to let anyone in from anywhere, create passcodes for trusted friends and family, and get alerts when someone's at your door, no matter where you're located. Check your lock's status at any time and live worry-free 24/7. This $249 smart lock connects via your Wi-Fi for convenience.